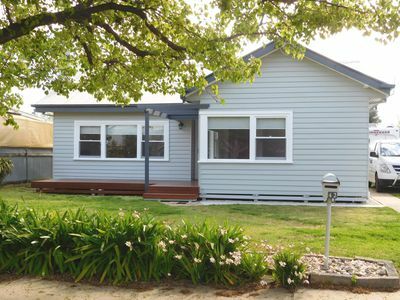 This beautifully presented weatherboard home is located within close proximity to shops and schools. Featuring polished “Tassie Oak” flooring throughout, a brand new kitchen with Caesar stone bench tops and quality cooking appliances. The living area has a gas heater and reverse cycle split system air conditioner. All 3 bedrooms are a very good size and the bathroom has been tastefully renovated. Outside there is a front & back undercover pergola area, a shed (10m x 4m) with concrete floor & power and room to park 3 vehicles. A very neat property with nothing to spend. Shed (10m x 4m) with concrete floor & power. Kitchen has Caesar stone benchtop.